Gene therapy can only be effective if delivered by a stable complex molecule. Now, scientists have determined the conditions that would stabilise complex molecular structures that are subject to inherent attractions and repulsions triggered by electric charges at the surfaces of the molecules. The gallium nitride nanowires grown by scientists in the Physical Measurement Laboratory at NIST may only be a few tenths of a micrometer in diameter, but they promise a very wide range of applications, from new light-emitting diodes and diode lasers to ultra-small resonators, chemical sensors, and highly sensitive atomic probe tips. 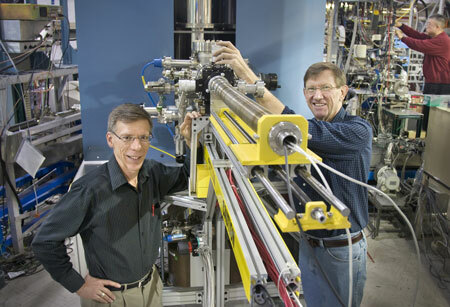 A new class of x-ray photoelectron spectroscopic microscope has been developed at the U.S. Department of Energy's (DOE) Brookhaven National Laboratory. The microscope will be used for advanced research on a wide range of technologically important materials systems. 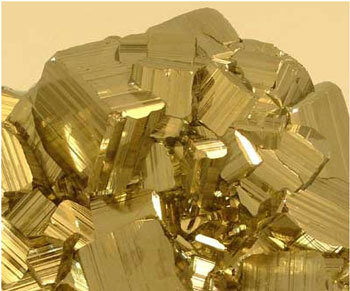 Pyrite, better known as "fool's gold", was familiar to the ancient Romans and has fooled prospectors for centuries - but has now helped researchers at Oregon State University discover related compounds that offer new, cheap and promising options for solar energy. 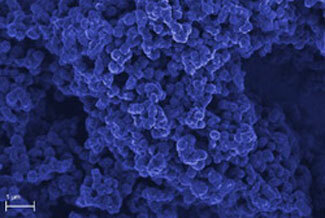 Efforts in the 'Nano packaging technology for interconnect and heat dissipation' (Nanopack) project have resulted in new 'Thermal interface materials' (TIMs) developed with micro- and nanotechnology to greatly increase heat transfer away from chips and other electronic components, in turn reducing the demands placed on cooling systems, lowering costs and reducing energy consumption. The three-day conference at the UAEU campus in Al Ain aims at providing a venue to gather researchers and scientists to assess Nano and Micro technologies for emerging applications and its prospects in the region. Die Deutsche Forschungsgemeinschaft (DFG) hat die Einrichtung der Forschergruppe "INTERNANO: Mobility, aging and functioning of engineered inorganic nanoparticles at the aquatic-terrestrial interface" bewilligt. One of the problems affecting the human nervous system is dopamine deficiency. But testing of dopamine concentration is costly and requires sophisticated equipment not available in a doctor's office. Enter a team of Polish scientists who developed a method enabling the detection of dopamine in solutions both easily and cheaply, even in the presence of interferences. At the 21st International Photovoltaic Science and Engineering Conference, held on November 28th - December 2nd in Fukuoka, Japan, Kaneka and imec present silver-free heterojunction silicon solar cells. 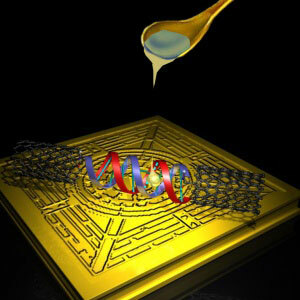 Devices consisting of single metal-bound DNA strands bridged between electrodes pave the way for new biocompatible electronics. Research demonstrates simple, scaleable method with realistic capability of industrial cross-over. When will nanotechnology's artificial molecular machines start working for us? Northwestern University chemists recently teamed up with a University of Maine physicist to explore the question, "Can artificial molecular machines deliver on their promise?" Their provocative analysis provides a roadmap outlining future challenges that must be met before full realization of the extraordinary promise of synthetic molecular machines can be achieved. Nokia HumanForm was created in a joint effort to translate the most promising new nanotechnologies into meaningful user experiences, in order to create real devices and set goals for future product portfolios. Bax + Willems, a specialized consultancy firm, has just release a free-to-download European Nanotechnology Landscape Report that offers an overview of the nanotechnology landscape in Europe targeted at policy makers on all levels (local, regional, national and European). This project aimed at studying local genotoxicity of fine and ultrafine particles in lung epithelial cells by evaluating the current literature and by using an immunohistochemical approach on existing lung tissue samples from (nano)particle-exposed animals. The Economic Development and Corporate Training (EDCT) division's Center for the Advancement of Nanotechnology (NanoCenter) at the San Bernardino Community College District (SBCCD), is looking for individuals who would like to take part in a unique hands-on grant funded training experience starting on December 5.